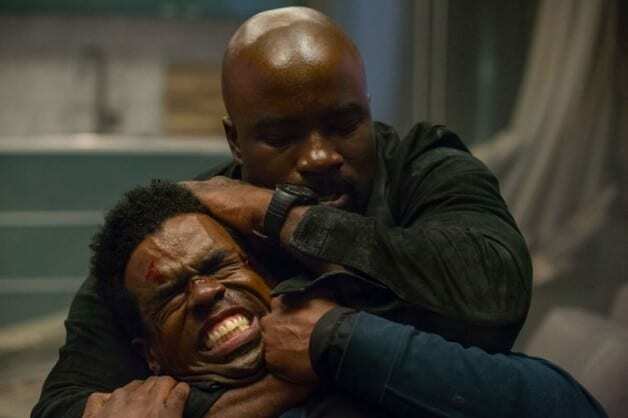 In a recent post, Luke Cage actor and season 2 antagonist, Mustafa Shakir, responded to the show’s cancellation and was clearly not happy about it. From the look of things Shakir is not happy about the show’s cancellation. The show’s sudden axing came as something of a surprise to fans around the world. The first season was incredibly well received by audiences and critics and even caused Netflix during its premier. The second season, likewise, was very well received, featuring great turns from Mustafa Shakir as John ‘Bushmaster’ McIver and Alfre Woodard as Mariah Dillard. In fact, less the two weeks ago, the show was expected to return for a third season. Sadly, yesterday Luke Cage was officially canceled by Netflix and Marvel. The official reasons behind the cancellation are apparently due to creative differences between the writers and producers on the show, although the actual reasoning behind this has been vague. In addition, this explanation has not stopped many from speculating that the actual cancellation has something to do with Disney’s upcoming streaming service and its dedication to non-R-Rated content. It is especially troublesome due to the cancellation of Iron Fist which also only just occurred a short time ago, leading many to speculate that Jessica Jones and perhaps even Daredevil may be next on the chopping block. What do you all make of this sudden cancellation? Do you believe the official reasoning behind it or is Disney playing some kind of longer game with the its own streaming service? Let us know what you think in the comments below! After clearing his name, Luke Cage (Mike Colter) has become a celebrity on the streets of Harlem, with a reputation as bulletproof as his skin. But being so visible has only increased his need to protect the community and find the limits of who he can and can’t save. With the rise of a formidable new foe, Luke is forced to confront the fine line that separates a hero from a villain. The series stars Mike Colter as the titular hero, Simone Missick as Misty Knight, Rosario Dawson as Claire Temple, Alfre Woodard as Mariah Dillard, Theo Rossi as Shades Alvarez, Mustafa Shakir as John McIver, and Annabella Sciorra as Rosalie Carbone. Luke Cage Season 2 is available to watch now on Netflix.